I know it’s a bit late in the day to mention it, but if you’re stuck for something to do tomorrow (30 June) and are near enough to it, I wanted to mention Medieval Music and Minstrels at Rievaulx Abbey. 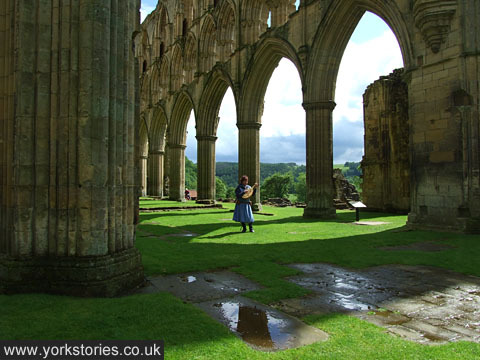 Rievaulx is one of the most atmospheric and beautiful places in Yorkshire. I’ve been wanting to mention its enchanting loveliness for some time. If you can’t get there, here instead is one of my classic amateurish ‘made on my phone and edited a bit’ recordings from a similar event last Sunday at Rievaulx. It’s mainly music (by, I think, Peter Bull), with added sheep and rooks/crows. Fountains Abbey is our most famous Yorkshire abbey and I assume, by the size of the car park and the coachloads of visitors, that it’s also the most visited. Rievaulx is I think less well-known. This place, quieter, in a beautiful setting, is so evocative and special I don’t quite have the words to do it justice. 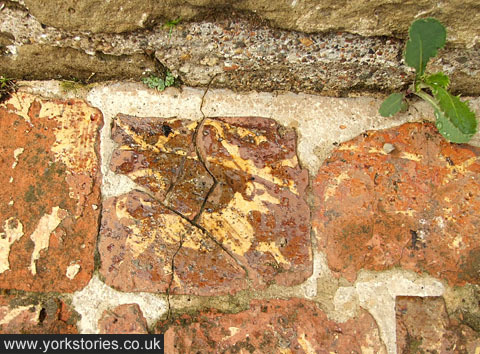 The wider views of its most obvious remains are usually shown, but it’s in the more humble parts of the ruins that you get a real sense of the place, on a human scale, the daily lives lived here. The explanatory signs are subtle and endearing, particularly this one. 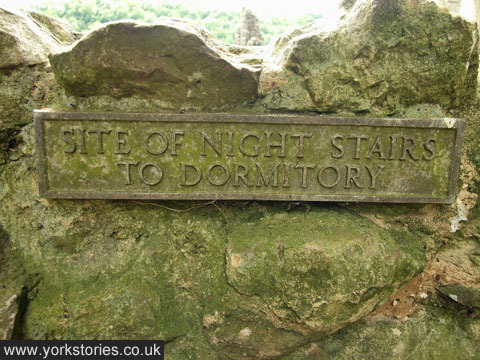 It’s late now, time for the ‘Night stairs to dormitory’. 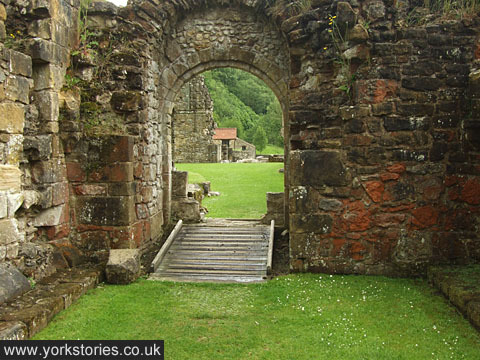 By Lisa @YorkStories • 29 June 2013 Beyond York, Sounds To link to this page's proper location please use the > permalink. Right now I’m in a building named after Harold Wilson – that’s a picture of a building he named himself after when he got his peerage. Neat. Drake, I know what you mean, but thankfully they haven’t ruined it. There’s a personal audio thing you can listen to if you want, and a small museum/display, but the place itself is just as magical. In the school holidays I guess it might have more rowdy interactive things going on.